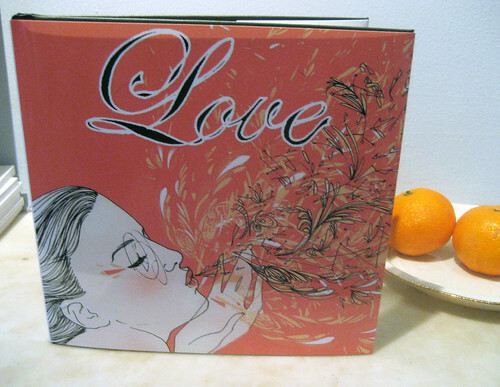 I’m excited to share an art book on “Love” with you. I asked 25 artists & writers—each with a distinct style and voice—to submit a piece inspired by their idea of love (sneak peek below), and then I published them as a book on blurb, a print-on-demand website. The contributing artists hail from around the world. I knew that each one’s interpretation of love would be singular, but with some profound similarities. Love is the ideal subject for artists to interpret. We all love, but everyone defines love differently in their minds and hearts. We all love differently and the same. We are connected through love and art. Love is available through blurb for $16.95 for a softcover, $25.95 for a hardcover with a dust jacket, and $27.95 for hardcover with “image wrap.” It contains 40 pages of incredible art including a couple of pages of amazing writing. Stay tuned for a video preview of the book later this week!!!!! oh wow oh wow, it’s so gorgeous!!! i can’t wait to get my hands on a real life copy (ordering now). i’m honored to be included. I love your writing Lisa. It makes me teary. Thank you so much for contributing!!! Can’t wait for you to see it! So exciting! It looks great, and I can’t wait to get a copy. Thank you for putting this together! oh yay! it looks great samantha! i’ll post it. Yay! Glad you like Jesse! I love your spread. It’s so graphic. Your style is so distinctive. Thanks Yasmine. Just wait till you see your piece next to Shira Sela. They go perfectly together. Thanks so much for making that gorgeous pattern. It’s all set now Tina!! I had a couple of proofs made since I’ve never used Blurb before and the page numbers were cut off so I had to fix and re-upload to blurb yesterday. It’s perfect now!! Ready to order! Let me know what you think. Thanks! 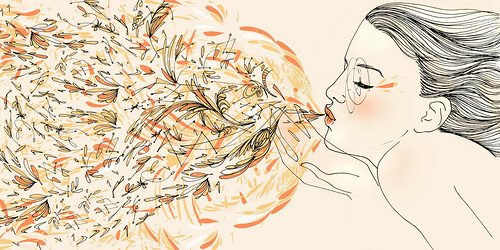 Beautiful idea, beautiful artwork, beautiful sentiments and expression. Congratulations on such an endeavor!! Thanks so much Jan. I was so worried with the show that it would not be done in time for V-day. But I managed to get it all together to the chagrin of my much abandoned husband!!!! You know how it is juggling everything…eek. Thanks for the comments, glad you like the book! What a wonderful idea! And such a beautiful book! Congratulations!! this is so gorgeous, samantha! congratulations!!! Thanks so much Joanna!!! Glad you like!! Sam, it looks so beautiful! You must have been up many nights (and mornings!) putting it together! thanks hannah…it did take longer than expected and there was a tiny learning curve with the book software but it was really fun. Thanks! Oh you’re amazing Christine. So supportive!! Thank you so much. Please let me know what you think of it when it arrives. I bet you’ll like the prose. There are a couple of nice pieces in there. It was fun to do. Thanks so much for the order. I’m so happy that all of these amazing artists are getting the press they deserve. They’re so great. Ooooh looks inspiring! I want one! Beautiful! Love the idea–congrats Samantha! Congratulations! It’s beautiful. What a wonderful premise. Oh thank you so much!!!! Glad you like. Thanks so much MJM!!! I have something so exciting to tell you. I’ll email you over the weekend….XOXOXOXOXOOXOXOXOXOXOXOXOXOXOXOXOXOXO. Thanks Abbey!!! I hope you will like. My book just arrived!!! and oh my god, it is AWESOME!!! You did a wonderful job putting this together, wow!!! I know I just keep saying this, but THANK YOU so much for everything, I am truly honored to be a part of this project filled with soo much LOVE!!! oh I’m so so happy you got it Hijiri!! I love your piece and was so very happy to have you contribute!! XOX. So happy you got it Shira. I just love your piece. Glad you love the book. KIT.